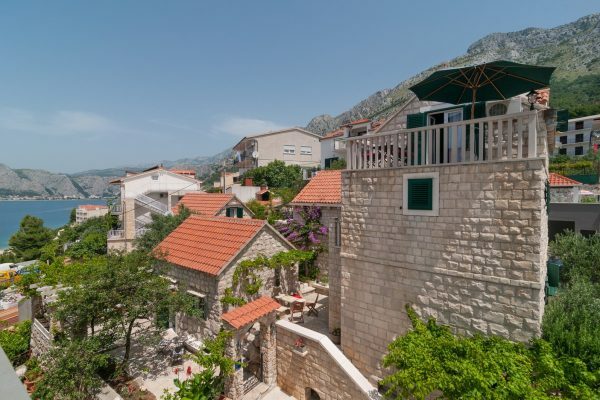 OM0359 – Four level terraced house for sale Omis, first row to the sea in Pisak, the house has a small restaurant on the ground floor and fabulous sea view. The 1st level is a 120m2 business premise / restaurant. The second level features a two bedroom apartment; on the third level there are 2 two bedroom apartments, and on the top level a three bedroom apartment. The property enjoys breathtaking sea views. The property requires minor updating.